Organic vs. Natural – What It Really Means? - Find Out at Oli6! Breastfeeding is best for healthy full term infants as it provides many benefits not delivered via infant formula feeding. It is important when breastfeeding or in preparation to breastfeed that you maintain a healthy, well balanced diet. The use of a combination of breastfeeding and infant formula feeding may reduce the supply of breastmilk, which may be difficult to reverse. Prior to taking the decision to infant formula feed you should consider the social and financial implications and the health hazards of unnecessary or improper use of infant formula. Limit one set per household. Three sachets allow proper trial over two days as per the recommended transition table. You have create your account and it’s ready to use! Thanks for joining the Oli6 community. Organic vs. Natural – What It Really Means? Is there much difference between natural and organic goat’s milk formula? This is a question many parents ask themselves when they are looking for the perfect formula for their child. The answer is quite a simple one though, because both formulas could be extremely beneficial for your child. Before we elaborate on a formula recommendation for your little one, we will explain the true difference between natural and organic goat’s milk formula. So, if you wish to learn more about natural and organic goat’s milk formula, be sure to read on. So, What Is the Difference Between Natural and Organic Goat’s Milk Formula? 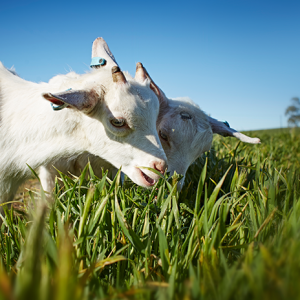 To understand the difference between a natural and an organic goat’s milk formula, we must look at the difference between natural and organic overall. Products can only be certified as “natural” or “organic” when they meet certain requirements, so we have laid out those requirements below. Organic products can only be certified as organic if they are fully made from organic ingredients; this means that a fully organic goat’s milk must be used to create the formula. Of course, other ingredients must also be organic to receive the organic seal. A natural formula tends to be more straightforward. This type of formula only contains a limited number of additives and incorporates all the natural benefits of the source product. For example, a natural goat’s milk formula – such as Oli6 Dairy Goat Formula – will adopt the high levels of vitamins and minerals already present in fresh goat’s milk. 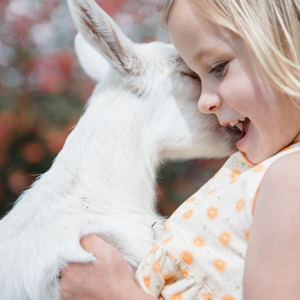 What Is a Recommended Goat’s Milk Formula for Australian Children? One of the best goat’s milk formulas on the market today is the natural Oli6 goat’s milk formula. This formula benefits fully from the countless advantages of fresh goat’s milk, adopting many of its natural ingredients. Natural goat’s milk formula from Oli6 contains natural prebiotics, better known as prebiotic oligosaccharides. The structure of the prebiotic oligosaccharides inside goat’s milk formula are quite similar to those inside human milk as well. Naturally, this could mean that a natural goat’s milk formula is easier to digest for your little one. Prebiotic oligosaccharides are non-digestible fibres that fulfil numerous functions inside the human body. They are not digested but are a food source for the healthy gut bacteria inside the gastrointestinal system; this includes bacteria such as lactobacilli and bifidobacteria. Since these bacteria promote better digestion, it is evident that good levels of prebiotic oligosaccharides have a positive influence on digestion. In addition to feeding healthy gut bacteria, prebiotic oligosaccharides are also responsible for the absorption of water. This absorption of water can have a positive influence on infants and toddlers who suffer regularly from cramping and constipation, since the absorbed water makes passing stool softer and easier to pass. Does Natural Goat’s Milk Formula Have Other Similarities to Human Milk? We briefly mentioned that goat’s milk formula has some similarities to human milk. The presence of natural prebiotics with a similar structure as human milk is just one part of that, because fresh goat’s milk has more similarities to human milk than most parents realise. One of the other similarities between goat’s milk and human milk is a similar level of phospholipids. As you may know already, phospholipids are vital for human cells; this due to the unique structure of this compound. A phospholipid consists of a hydrophilic (water loving) head and a hydrophobic (water repelling) tail. When a chemical reaction occurs, phospholipids will put themselves in two layers parallel to one another; this is referred to as the phospholipid bilayer. The phospholipid bilayer is important, because this is what a cell membrane is made out of. So, without it, cells would not be able to function or exist. Even though the chemical and biological importance might not mean much to you at the moment, a few practical examples should help! Phospholipids are known to assist with brain development, but also reduce a person’s risk of gastrointestinal infection. In addition to similar levels of phospholipids, fresh goat’s milk also has similar levels of nucleotides. Much like phospholipids, nucleotides are important for human cells, since they are linked to cell development and regeneration. There are various classifications of nucleotides in the body, so their function can depend on their classification. Overall, there are purine and pyrimidine nucleotides. Some of the functions of nucleotides include assisting with metabolic processes, energy provision, molecule signalling, and loads more. Of course, nucleotides also deliver the monomers required for genetic information in DNA and RNA. So, the importance of nucleotides in any type of formula cannot be underestimated. Where Can I Find Out More About Oli6? Many parents like to do more research before they choose a formula. To ensure you have all the information you need to make an informed decision, we have provided numerous resource pages for parents. You can also join our Facebook community, which contains the latest info on Oli6 formulas as well as competitions!